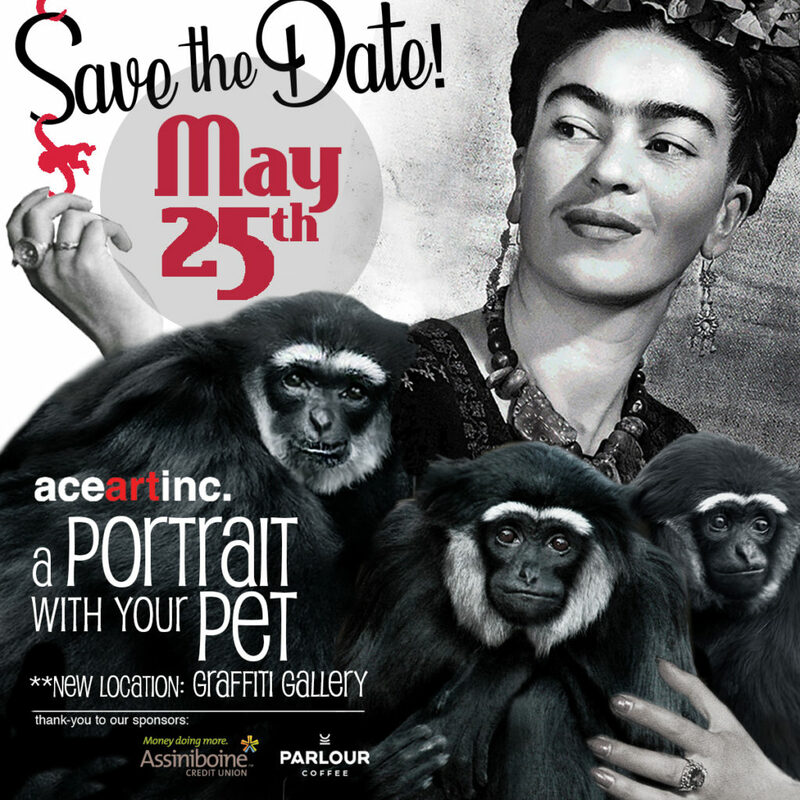 Join us for aceartinc.’s fundraiser “A Portrait With Your Pet” happening on Saturday, May 25, 2019 at Grafitti Gallery! Chronicle you and your fur babies with an exciting lineup of photographers in fun sets designed by local artists. About the set: Cruise down Portage Avenue in a cardboard mint-coloured convertible with pink flames. About the set: Float on pillowy, illuminated clouds in a bright blue sky. About the set:more info coming soon! Please note the change of the original date and location from April 13 at aceartinc. Tickets are now on sale via Eventbrite.